There is a variety of reasons and causes for a stomach muscle to be pulled. Exercising is one of the prime and common reasons for straining a stomach muscle. Why that, even a simple bout of cough can strain your muscles. However, there are many ways by which you can treat a Pulled stomach muscle. One of the best ways of treating a pulled stomach muscle immediately is to sit down in a reclining position. In a reclining position you sit down with your feet up in the air. The reclining position will straight away give you some comfort in the stomach. Even if you feel similar pain in the abs, you can get in a reclining position. If you feel such pains when exercising or weightlifting, stop the workout at once. Making the affected part numb as soon as you feel the pains is one method many sportsmen use. The same method can be used in a gym too if you pull your stomach muscles when pumping iron. However, if it is difficult to manage ice, you can use a bag of ice-cool peas. Whatever of the two things you use, keep it on the affected parts for not more than 20 minutes. At the most use it for half an hour only, in one go. Using the ice cubes needs more than one repetition daily. Actually, you need to take this treatment at least four times. Follow this routine for a couple of days. Increase the number of days, if you feel the pains are intense. Contrary to the ice healing method, giving heat to the affected part is another way of treating a pulled stomach muscle. Many people find this method extremely helpful. Apply heat to the strained muscles so that it will help in loosening them. 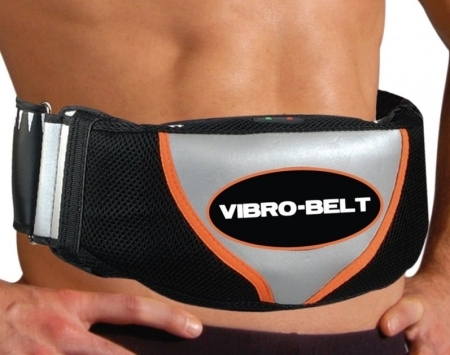 It will make your movements easier and not unnecessarily strain them more. Repeat the same for at least three to five times for around 10 to 15 minutes daily. It is important that you take enough rest if you feel that you have a muscle pull. Do not get back to working out without either making sure that you are good to go, or consulting a professional in the field. It is advisable not to start any physical activity until you make sure you are entirely fit. You may not realize it, but sometimes, a minor strain can go on to eat through your weeks before you can get back to the gym. Ibuprofen works best in the cases of pulled stomach muscles. It helps in relieving pains faster giving a quick relief. You can follow the directions given and use it accordingly. It is always best to consult your doctor and consume the medicine as per the directions. Your physician will better help you in advising about consuming more doses that will help in healing the swelling as well as the pains. If you do not consult your doctor and keep the dose lower, you may be missing quicker results.